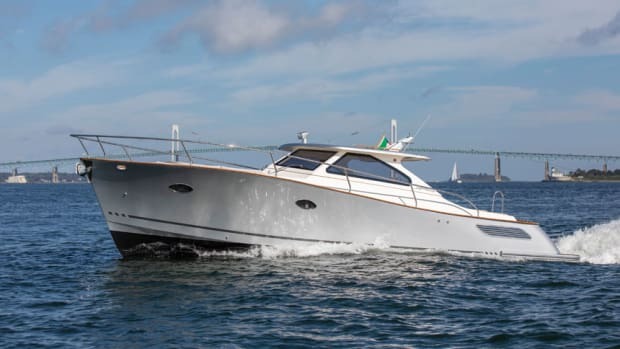 The new boat’s lines are distinctly more European than those on the 34. 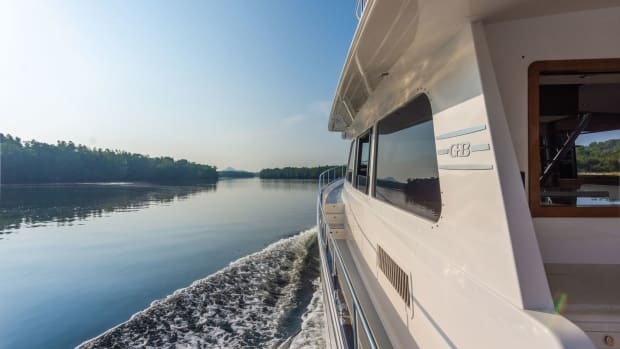 Though it isn’t as salty-looking and has less of a utilitarian feel, the 35 looks elegant and purposeful without ditching its trawler-yacht roots. 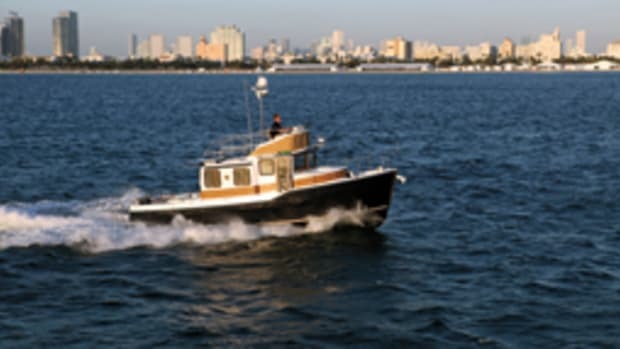 Like the 34, the Swift Trawler 35 has a single 425-hp, 6-cylinder Cummins diesel. 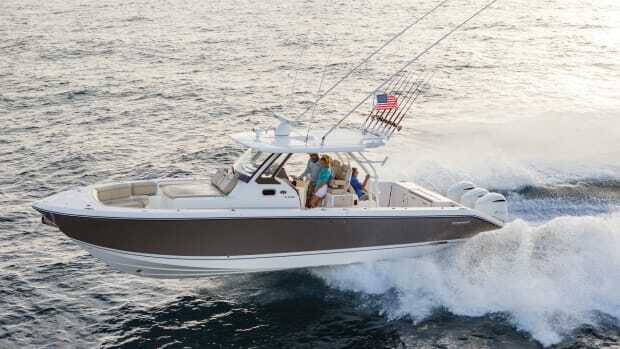 Full performance specs were unavailable at press time, but the 35 should provide top-end and cruising speeds comparable to the 34’s: around 20 knots top and a 10- to 15-knot cruise. 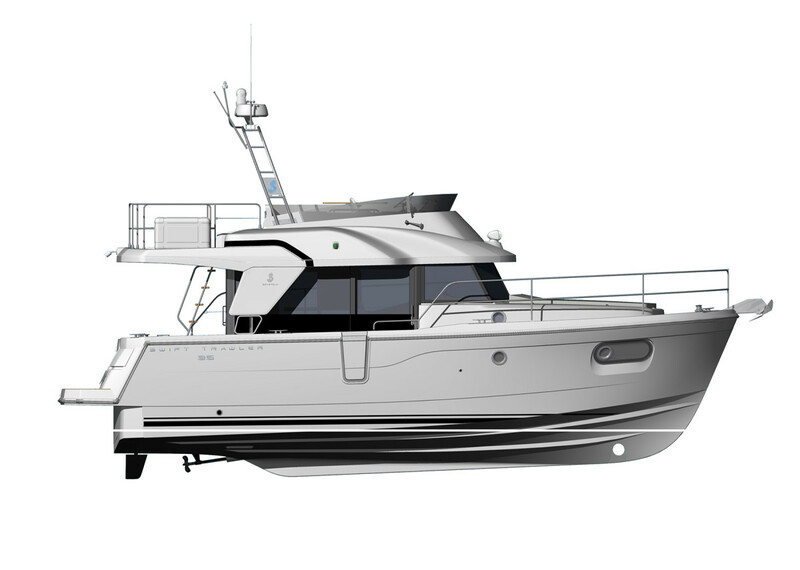 New features on the Swift Trawler 35 include a convertible transom, which ties the aft cockpit and swim platform together through a pair of nearly full-width folding transom doors. Another design change is the use of more glass in the 35’s main saloon. Outside are curvier lines and softer edges, and inside is a modern interior with a more contemporary look than on the 34. 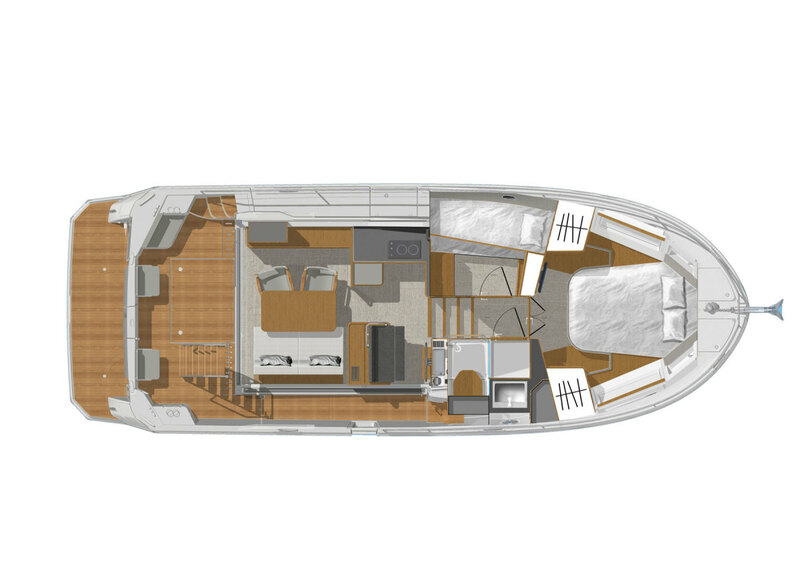 Below is a two-stateroom layout. 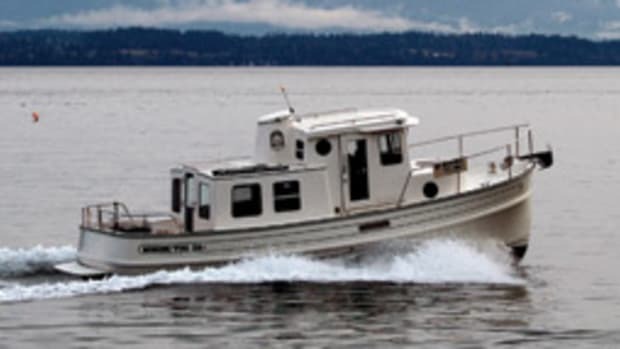 The master is in the bow with an island berth. The guest stateroom with bunk-style berths is abaft the master to port. 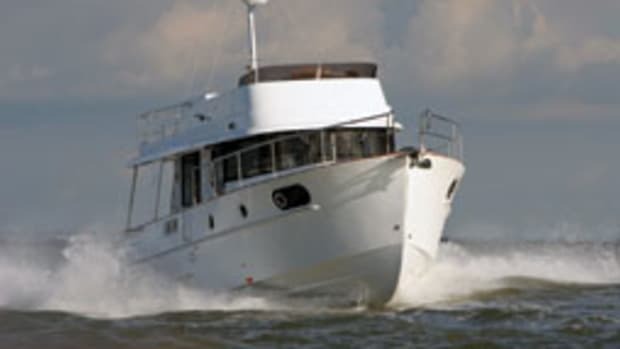 The two share an enclosed shower/head to starboard. Boaters who have seen the 34 will also find the layout of the 35’s main saloon recognizable. The galley is forward to port, with a bank of stowage lockers abaft it. 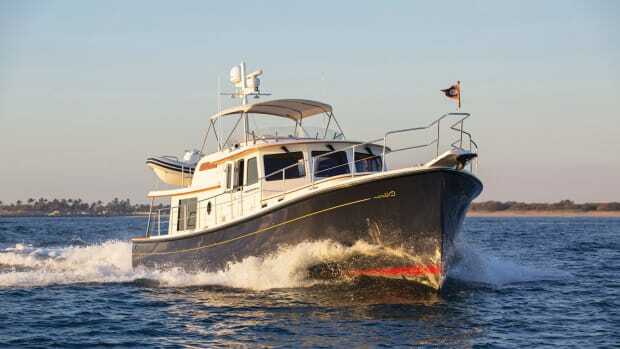 A dinette that converts to a sleeping berth is abaft the lower helm station. If it ain’t broke, don’t fix it. 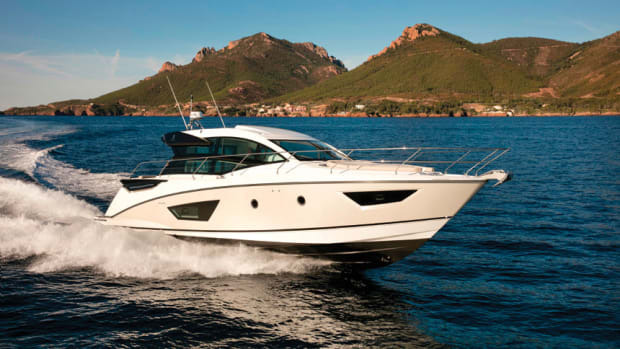 That mantra may serve plenty of boatbuilders well, but not Beneteau. The company is resisting complacency by replacing its best-selling Gran Turismo 49 with the Gran Turismo 50.